Please join us at THE MISSION on Saturday, September 30 at 3pm for Made-Up w/ Danny Volk featuring Jeroen Nelemans. As part of a recent Kickstarter campaign, Volk is bringing the project to THE MISSION in a LIVE interview with Nelemans. The event is one of two programming events for THE MISSION’s current two-person exhibition, Swipe, Sweep, Flick, Fold showcasing photographs and sculptures by Chicago-based artists Jeroen Nelemans and Susan Giles. 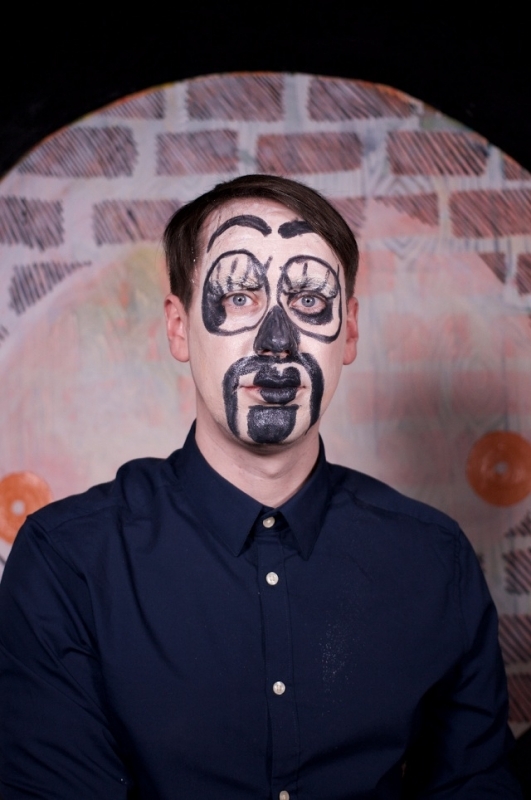 MADE-UP W/ DANNY VOLK (MUwDV) is an artist interview series started in 2014. MUwDV utilizes video and live events to promote the cultural work of artists, collectives, institutions, and cities. Using common cosmetics, a featured guest uses Danny’s face as a canvas while the two discuss art and life. Currently on it’s seventh season, MUwDV: The Akron Sessions is exploring the community of Akron, OH (Danny’s hometown) and 8 visual artists and their work contributing to the growing arts landscape there. The Akron Sessions are supported by a Knight Arts Challenge grant and an Akron Community Foundation grant. JEROEN NELEMANS was born in the Netherlands and currently lives and works in Chicago, IL. His work has been exhibited at Aspect/Ratio (Chicago, IL), the Fabric Workshop and Museum (Philadelphia, PA), the de la Cruz Collection Contemporary Space (Miami, FL), the Institute of Contemporary Art (Greece), Elmhurst Art Museum (Elmhurst, IL), Nice&Fit Gallery (Berlin, Germany), and the Urban Institute for Contemporary Arts (Grand Rapids, MI). His work has been screened at the Museum of Contemporary Art (Miami, FL), the Banff Center (Canada), Gallery 400 (Chicago, IL), Werkleitz Centre for Media Art (Halle, Germany), the Magmart International Video Art Festival (Naples, Italy), Dublin Electronic Arts Festival (Ireland), the Kortfilm Festival (Copenhagen), and the 25th Festival Les Instant Video (Marseille, France).